Video: Drew Ramsey at TEDxBloomington. 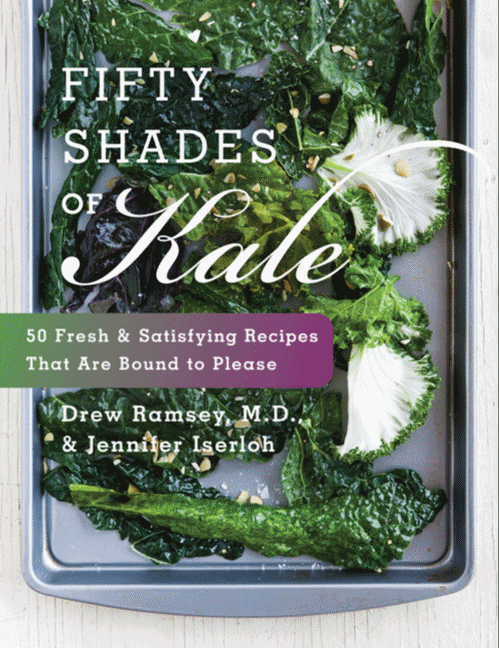 Along with Fifty Shades of Kale, Ramsey is co-author of The Happiness Diet, which explores how modern food impairs brain function and provides a nutrition prescription for mood, energy, and focus. 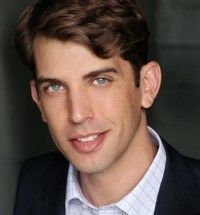 His research focuses on concepts of “brain food” and “mood food” and he aims to help educate the public on the long-lasting effects of the right foods on overall health. "Thank you so much for being a part of the WOW Summit! You were a hit! Plus, our moms loved you and the kale recipe demos. It was great." "Finally, a rock-solid, reliable, informative, and entertaining book on how to eat your way to health and happiness. Run — don’t walk — to read and adopt The Happiness Diet. This is the only diet book I’ve encountered that I can actually recommend to patients without reservation." "The book points out which foods lead to depression and anxiety, and it suggests antidotes such as grass-fed beef, butter, yogurt and whole milk to better your mood. By changing what you eat, say the authors, you can "stabilize your moods. You can improve your focus. You can even make your brain grow." And you thought doughnuts made you happy?!" "The diet that that will help you stay healthy, maintain a sharp mind, and keep those pesky blues at bay!" "Thanks to the modern American diet (MAD), people are getting too many calories from sugar and refined carbohydrates (i.e., empty calories); eating the wrong kinds of fats, like too many omega 6 fats (found in cheap vegetable and seed oils like soy, corn, cottonseed, safflower and sunflower oil); and too many trans fats, which are not only linked to heart disease but to depression." "Smart eating rules... mouthwatering meal plans." "A new weight-loss plan that promises to tackle your mood as well as your waistline." "The diet trend of 2012. Designed to boost your mood — and shrink your belly." "An insightful, eye opening adventure into diet and nutrition. Concise and witty, this book kept me engaged from cover to cover. I will certainly incorporate these fundamentals into my medical practice. A must-have for anyone serious about getting happy and healthy naturally." "Like the weather everyone talks about diets but no one dies anything about them. This comprehensive but easily accessible book guides us to coherent and healthy eating. It will help anyone interested in how the foods we eat can keep us well. "The authors have synthesized a compelling body of scientific literature with accessible and lucid conclusions regarding the interface of diet and vulnerability, protection and treatment of mental disorders."